In contrast to other Holocaust memoirs that describe what it took to survive the concentration camps, Dry Tears is the story of a Jewish young girl with blond hair and blue eyes trying to pass as a Christian in Nazi-occupied Poland. At the beginning of the book, Nechama’s father worries that she and her sister will fall behind in school. Of course, her learning cannot take place in a traditional school since the Nazis have closed them to Jews. Even private tutoring becomes impossible. Yet Nechama acquires different kinds of knowledge during the war years. Nazis made it extremely difficult for Poles to find enough to eat because of the activities of the Polish underground. Jews were not supposed to be in Poland at all, so there were no food rations for them. Since she looked Aryan, Nechama could pass for a Pole and venture out of her family’s hiding place. She learns to bargain for the cheapest food prices on the “black market.” Later, she learns to sell her mother’s rolls at the same market when the family finances are low. Nechama also acquires knowledge about human nature most eleven year olds do not. The Christian family that takes her and her family into their small home in the Polish countryside do not do so out of charity, but out of their own self-interest. Poles were unpopular with the Nazis as it was, and hiding any Jew was punishable by death. However, no one could survive on the wages that Nazis provided to Poles, so families like the Homars decide to “keep cats,” meaning that they took in Jews in return for handsome sums of money. Some of the members of the Homar family treat Nechama very well. Helena, the family matriarch, even encourages the girl to call her Grandma. Yet despite her affection for Nechama, Helena says that she initially disagreed with having Jews come to stay in her home because Christian blood should not be spilt for Jewish blood. The Homars, like most other Polish families, are anti-Semitic. They emphasize that Nechama and her family are “not really Jewish” because “real Jews were greedy and dishonest”–qualities that Nechama’s family abhors. As Nechama gains knowledge, the reader learns that a trying to pass as a Christian in Poland during World War II is fraught with almost as many dangers as trying to survive a concentration camp. There are random raids on Poles that threaten to deport even Aryan looking Jews. Certain members of the Homar family are less trustworthy than others, making their hiding place precarious. 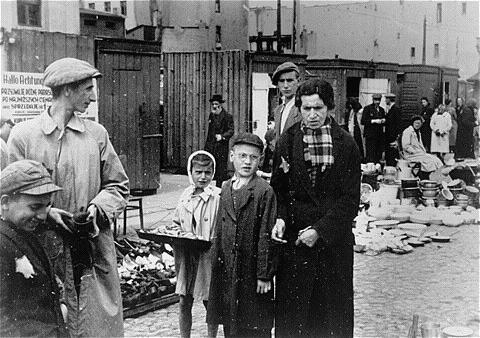 Nechama’s efforts to get food and money for her family place her in special danger since Nazis hate the Poles’ black market activities. The fact that her looks give her the opportunity to pass does not ensure her survival or her family’s. Nechama’s unique struggles make this memoir a must-read for anyone with an interest in the Holocaust years or students of human nature. As an English and History major, I was not particularly inclined to read a book about science. However, one of my Goodreads friends read it and enjoyed it, so I decided to give the book a chance. I found that I not only understood the book’s content, but I also couldn’t put it down. The book discusses the cells that doctors at Johns Hopkins took from an African American woman with cervical cancer (Henrietta). These cells, called HeLa, grew successfully in culture. In fact, they grew so successfully that scientists all over the world wanted to use them in experiments. Among other medical advances, HeLa cells helped develop the polio vaccine, identify chromosomal disorders like Down syndrome, and test the effectiveness of chemotherapy and other drugs. HeLa cells infected with adenovirus. 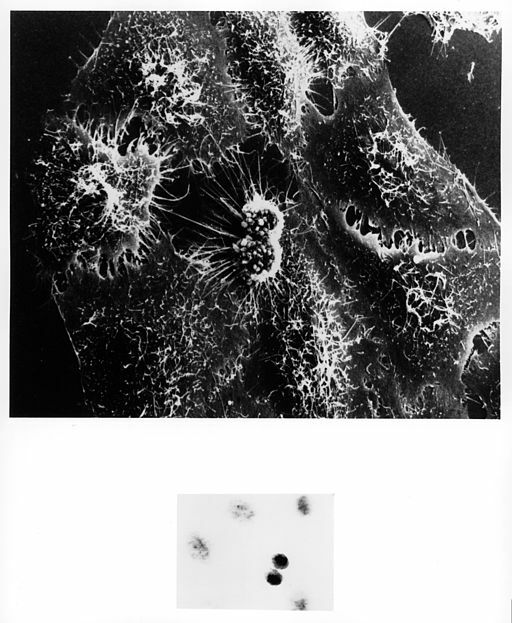 Inset–HeLa cells in the process of dividing. While Henrietta’s cells are an important aspect of the story, author Rebecca Skloot also sought to find out who Henrietta Lacks was. The reader discovers that many of Henrietta’s children wanted to know the same thing, since most were very young when she died. Despite her illness, Henrietta continued to cook and clean for her husband, neighbors and family. Her oldest son remembered that she was fair, but had strict rules about where her children could play. Most interestingly, the book makes the reader think about how patients, particularly African Americans, were treated in the early 1950s. Henrietta went to Johns Hopkins because it was one of the few hospitals that agreed to treat African Americans who couldn’t pay their bills. Of course, Johns Hopkins had separate entrances for “white” and “colored” patients. Henrietta and her family had no idea that white doctors were taking samples of her cervix for their private research. Would Henrietta would have been treated any differently or given more information about the samples being taken if she was white? These are questions that the author allows the reader to decide. During Skloot’s research, however, it is evident that the actions of Johns Hopkins researchers created distrust between Henrietta’s family and any white person who inquired about HeLa cells. For years, members of the Lacks family refused to talk to Skloot. Then one or two of them decided she could be trusted and they began sharing stories about Henrietta. Even after trust had seemingly been established, Henrietta’s daughter Deborah would accuse Skloot, who was paying for her research via credit cards and student loans, of secretly working for the hospital. Then Deborah would call Skloot as if nothing had happened and research would resume. I finished this book with knowledge of the lengths to which scientists sometimes go to conduct their research. I also felt and better understood the distrust of some African Americans toward white people, particularly in the South. Finally, I admired Skloot’s determination to interview Henrietta’s family members and even scientists who were often less than enthusiastic about talking to her. This book will make people think about the American medical system’s treatment of patients of all colors. Highly recommended.